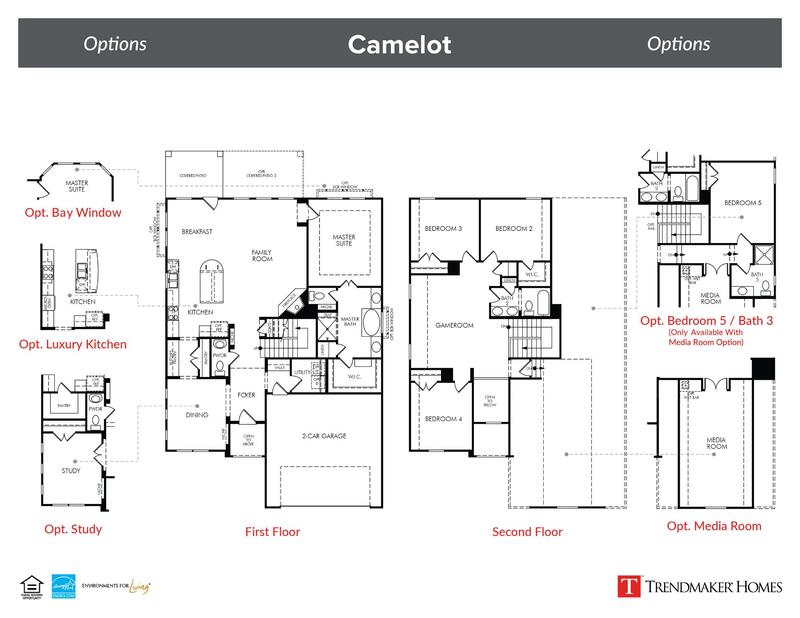 The Camelot is a two-story home with a smart design that provides an open layout perfect for entertaining or relaxing with family. The kitchen features a large center island, stainless steel appliances, abundant storage space and opens to an airy family room that provides access to the covered patio. The expansive master suite includes a gorgeous master bath with split vanity and massive walk-in closet. Upstairs leads you to an exciting gameroom and additional bedrooms and bathroom.